There’s no denying that we’ve finally entered the age of virtual reality. 2016 has been the year of major virtual reality developments in the USA with headsets like the Oculus Rift, HTC Vive, Avegant Glyph, Razer OSVR, and PlayStation VR taking it to the mainstream. The era of virtual reality headsets started around 2012 when the Oculus Rift began development, culminating in a March 2016 USA release. 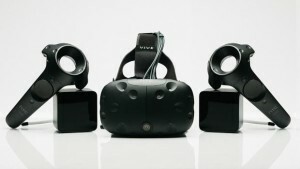 Virtual reality, for those unfamiliar with the budding technology, is immersive multimedia or computer-simulated reality. Said computers replicate an interactive environment and simulate a user’s physical presence within it. 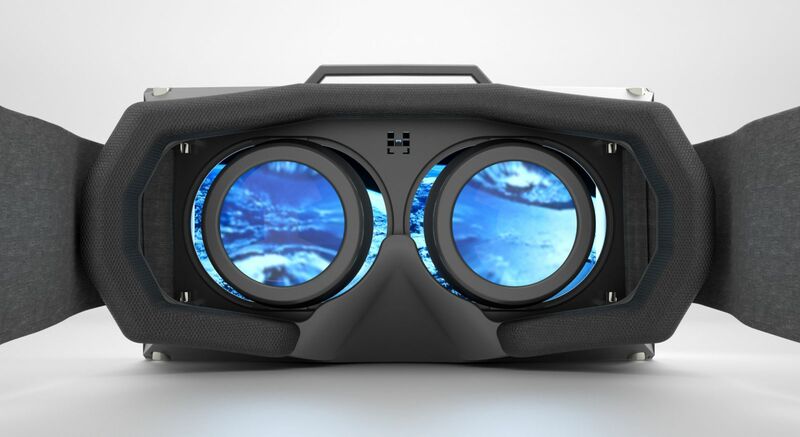 Virtual reality headsets are head-mounted devices aimed to provide this immersive virtual reality experience, often for the purpose of gaming or simulations. The set up usually consists of a stereoscopic head-mounted display and head motion tracking sensors. Some also include headphones, built in or audio port, eye tracking sensors, and additional handheld controllers. The user’s head movements are tracked in a simulated three-dimensional world. Keep reading for a basic overview of some of the VR Headsets that are revolutionizing both gaming and entertainment. Released in the USA in March 2016, the Avegant Glyph stands out as unique among the other contenders on this list. The design resembles a sleek pair of headphones, only these can be lowered so that the strap equipped with two eyeholes is turned into a wearable cinema. Weighing only 411g, the device can be used for either audio or vision plus audio, making it perhaps the most versatile and attractive of its kind. Since the headset is wireless, the Avegant Glyph is also much more portable, being able to play up to 4 hours of video playback and unlimited passive audio. Head tracking is made possible by 9 Axis IMU and resolution comes in at 1280 x 720. 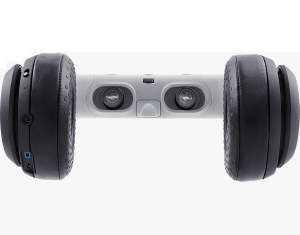 What is perhaps most impressive is the fact that the Avegant Glyph has no screen, but rather recreates natural sight. Retinal imaging technology uses advanced optics and microscopic mirrors to project images directly to the eyes. Lifelike images are rendered in 360° video. Even more impressive is the eye adjustment feature, making it possible for those with eyeglass prescriptions to watch without the use of glasses. Users can not only watch 360° media with full head tracking, but also view any other content including but not limited to TV shows, movies, streaming video, and games. With a single HDMI input, the Avegant Glyph is also compatible with smartphones, tablets, laptops, game consoles, streaming media players, drone transmitters, and more. The Avegant Glyph goes for a retail price of $699 in the USA and has been celebrated for its cinematic features. For an in depth and hands-on review, consider reading James Trew’s article for engadget. Released in the USA back in June 2015, the Razer OSVR is one of the older headsets on our list, though it continues to be both the most affordable and customizable. With a removable facemask with a bamboo charcoal microfiber foam layer, additional foam padding for cheekbones, and a nose bridge featuring rubber nose inserts, it sounds pretty comfortable too. Head tracking is achieved by an accelerometer, gyroscope and compass sensors and the display is provided by a 5.5” OLED. A dual lens optics system with individual eye focus for personalized use makes for even sharper images. The faceplate module provides 360° positional tracking in combination with an IR Camera operating at 100Hz. Motion sensors enable the user’s hands to appear within the experience so that you are able to touch and interact with your environment. These are just the built in specs. What is most unique about the Razer OSVR is that it is built on an open source platform that aims to set a new standard for VR and inspire developers and big name brand companies to push VR tech forward. It must be stressed that this is a development kit. It is not a fully-fledged consumer product, but anyone can still buy the device. 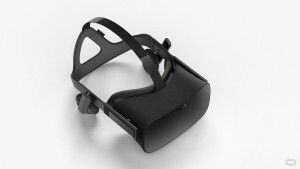 The Razer OSVR caters to both mainstream games and mobile experiences making it a highly adaptable for consumer use. At just $299.99 in the USA, the Razer OSVR is designed for affordability, yet still boasts impressive specs. For anything else you want or need to know about this headset, consider reading Paul Lamkin’s review for WAREABLE. 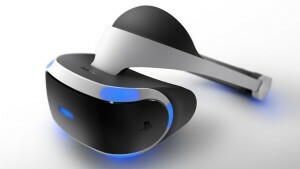 Last on our list comes the not yet released PlayStation VR. Set to be released in the USA in October 2016, this headset appears to be very promising. Head tracking is provided by an accelerometer, gyroscope, and PlayStation Eye tracking system which is sold separately. 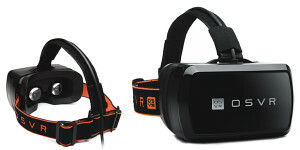 The headset has a display of 1920 x 1080 with 120 frames per second and a 5.7” RGB OLED. All of this culminates in an interactive 110° field of view complimented by 3D audio technology. Needed for this headset, but also sold separately, is a PlayStation 4 console, Move controller, and PlayStation Eye camera. The camera is crucial for the function of the headset as it tracks the LEDs around the headset, the DUALSHOCK 4 wireless controller, and PlayStation Move motion controller in order to capture natural movement in virtual space. The PlayStation VR is set to be sold for $399 in the USA and promises to be complimented by a large selection of at least 50 game titles being created by over 200 developers. Nick Pino writing an early review for techradar proposes that this might be the greatest draw, as there is guaranteed to be something for everyone. While the first four headsets are already available, this only goes for certain countries, including the USA. The PlayStation VR, on the other hand, will not be released until October 2016, but it may take a significant amount of time for it to make it to your specific country after this initial release date. Why wait any longer than you have to? Consider using Big Apple Buddy to get your hands on one of these highly revolutionary headsets now rather than much later. Learn more about our service or get a free shipping quote for a virtual reality headset today!